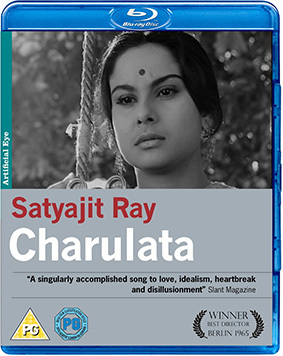 Three films from the rightly revered Indian filmmaker Satyajit Ray have been announced for a UK Blu-ray release in August by Ariticial Eye. 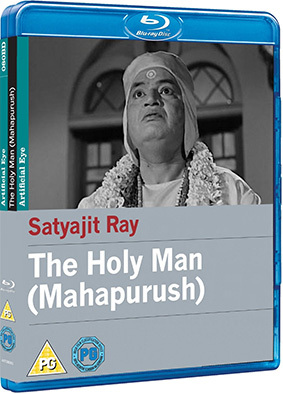 Previously released on DVD as components in two volumes of Artificial Eye's Satyajit Ray Collection the three films here are being released individually on UK Blu-ray. India, 1870: Neglected by her ambitious journalist husband, the lonely Charulata befriends his cousin, a sensitive, aspiring writer named Amal who offers to help Charu with her own creative expression. Almost inevitably their feelings for each other begin to deepen, but when Amal shies away Charu is left to pick up the pieces of her broken life on her own. 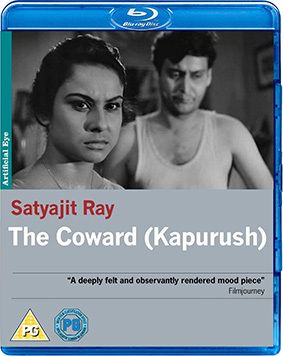 Adapted from a story by Rabindranath Tagore, Ray considered this sensitively realised drama – released here for the first time on Blu-ray in the UK – one of his finest achievements. Depressed and alone after the death of his wife, a lawyer named Gurupada is looking for help. Meeting a holy man claiming to have met Jesus and Buddha, he decides to join his band of affluent disciples. But when his daughter and her lover also become involved the holy man’s tales start to sound a little far fetched… A quick-witted romantic comedy with fantastic characters and memorable performances, Ray’s lightness of directorial touch belies a cutting criticism of Indian post-war society. Stranded in a small town when his car breaks down on a research trip, a screenwriter named Roy is shocked to discover that a girl he once loved is now married to the tea plantation owner who has offered to put him up. Recalling his inability to commit to her and the relationship’s resultant breakdown, Roy attempts to make amends for the past but finds time hasn’t healed the wounds. The Lonely Wife, The Holy Man and The Coward will be released individually on UK Blu-ray by Artificial Eye on 12th August 2013 at the RRP of £19.99 per disc. Extra features have yet to be confirmed. You can read our review of the films themselves as part of The Satyajit Ray Collection, Volume 1 and The Satyajit Ray Collection, Volume 2.